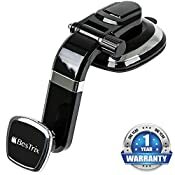 The Bestrix Magnetic Car Mount will give your dashboard the luxurious look you seek, an easy 360° rotation of your phone display and an arm you can adjust for your convenience, guaranteed not to block the driver's viewer your phone charging ports. 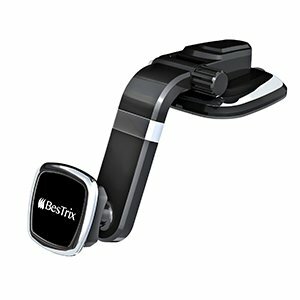 This elegant product fits all dashboards with smooth surfaces, besides leather/faux leather dashboards. 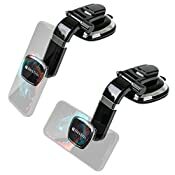 It is very easy to install with the unique suction cup, just make sure to remove all air from underneath before locking the lever. 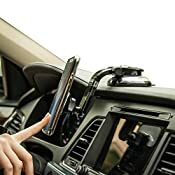 Silicon surface, holding your phone and keeping it safe through every bump on the road, giving you and your phone a smooth ride. 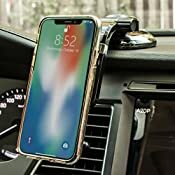 In order to achieve this, you will receive 2 metal plates - just place one between your phone and your case and you are ready to go! Please note Wireless charging is not working when using the metal plate. 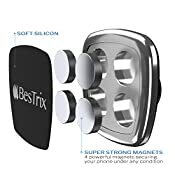 This Product is made with the best and highest quality materials, the most superior quality ABS plastic that offers flexibility and durability, a strong gel base that will stabilize the product on your dashboard, securing your phone with the best magnets under the silicon surface.